Dear community, as you know, recently we have been developing Wizards.one game to improve our skills on EOS development. Now we can say that we are pretty good EOS developers and we are ready to continue our efforts on the LetItPlay project. On 10th, December we will be ready to distribute Play tokens to all participants of the airdrop and bounty campaigns! We want to underline that Play tokens will be distributed on EOS network and to get them, you have to enter EOS account name (12 symbol combination) on the letitplay.io personal cabinet page. After 10th, December you will be able to Claim Play tokens to your EOS account by pushing the Claim button in the personal cabinet. Recently our team has also been helping in developing BingoBet project — the first American Roulette on EOS blockchain. For our contribution BingoBet team decided to airdrop BINGO tokens to our community. So, after 10th, December you will also receive BINGO at the rate of 1 BINGO for 1 PLAY. *If your local laws do not allow you to own dividend tokens then you have to write to us via mail@letitplay.io to prevent any negative scenarios in the future. 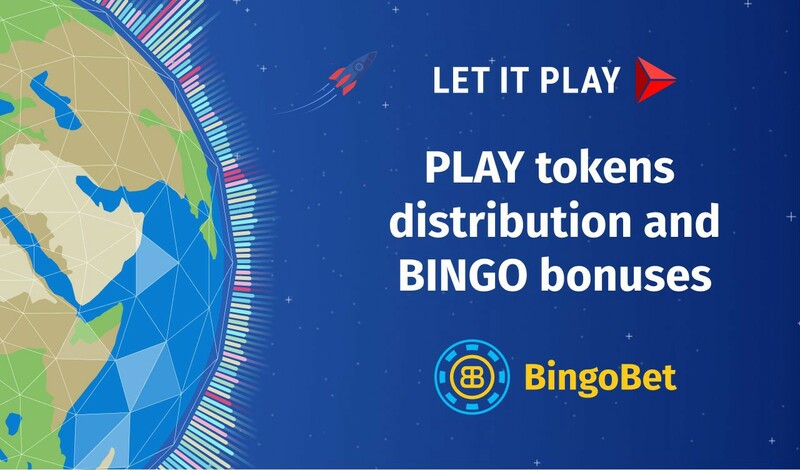 Moreover, after 15th, December BingoBet will add Play tokens support on their site! How to get EOS account to claim PLAY tokens? Install Scatter to be able to sign the transaction to claim Play tokens in the letitplay.io personal cabinet. Import your EOS active Private key to Scatter. After 10th, December you will be able to Claim your tokens by pushing the Claim button and signing the transaction with Scatter.